Hambi may be saved – but the world ends. What the governmental coal comission has presented is no consensus. The worldwide protests of the young generation who fight for their future every Friday, initiated by the Swedish activist Greta Thunberg, have given us hope. 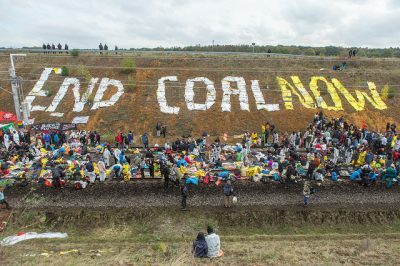 But in contrast, we are saddened by and angry about the disaster the coal commission has agreed on: Another 20 years of coal combustion, uncertainty as to whether forests and villages will remain, billions of Euros as compensation for coal-fired power stations that would be shut down anyway or, even better, should never have been connected to the grid. We will not achieve the 1.5° goal this way. It’s up to us to never let this horror scenario become reality! In the days to come, there will be opportunities to turn your powerlessness into creative action. As part of the local groups in your city, you can carry your anger into the streets. If you also want to take a look “behind the scenes” and help shape the Ende-Gelände-Process in 2019, we cordially invite you to the Ende Gelände Kick-off Meeting in Freiburg from February 15th to 17th. We wish you a fun reading! The result of the coal commission is not a consensus. 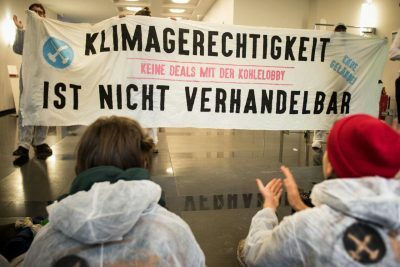 We take to the streets and make it clear: Only the immediate exit of coal is compatible with climate justice and the 1.5° goal! 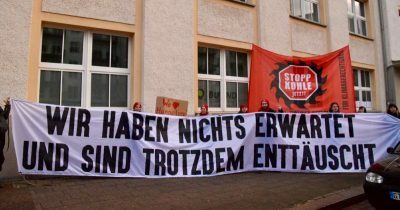 With the decentralised action days, we carry our protest from the lignite mines into the cities and villages, because this disastrous result concerns us all! 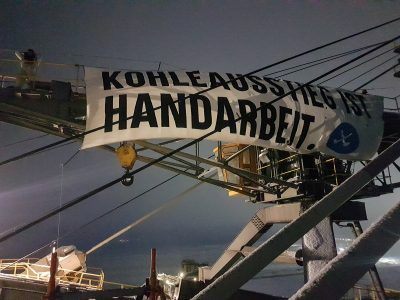 Since the large environmental associations are supporting the results of the coal commission, it’s even more important to organise yourselves! If there’s no action in your city yet: start planning one now! If there’s no climate group yet: start one! The protest continues. Come to the season’s first Ende Gelände alliance meeting! We will meet from 15th to 17th February in Freiburg to discuss concrete plans for nationwide activities in 2019. How do we bundle our forces to finally push through the final exit from coal? 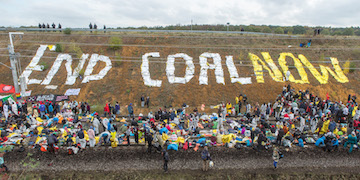 Will there be another big mass action against coal? Where, when and on what occasion? 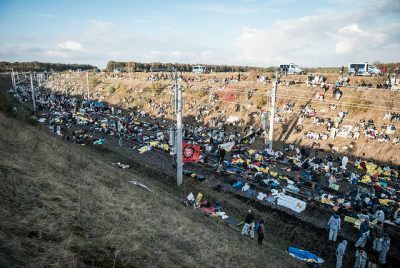 The kick-off plenary is a good opportunity for interested people to get to know the Ende Gelände community and to get involved in the planning process. We need you! And: Freiburg is not as far away as some of you northern lights might think. The South German local groups are looking forward to seeing you! After last year there’s a lot to celebrate – and we did celebrate extensively at the evaluation plenum in Bonn! We are glad and thankful that we were able to push the coal exit forward politically in 2018. But in the feedback to our last actions, also critical and thoughtful voices resonate. We have heard numerous voices of nationwide AGs, local groups and participants and included them in our evaluation – and will include them in the planning of the next actions. Read our reflection „A great success and a small defeat“ here.